Who am I: I am a 35 year old somewhat athletic, woman. I am healthy. Except for my chronic pain.... here is my story of the surgery on both of my shoulders. Enjoy, comment as you see fit, ask questions, etc. Thanks!! 5 weeks ago I had surgery on my left arm. I declined to have a block, although the anesthesiologist said that about 90% of the patients do request a block. The OS went in planning on doing a subacromial decompression (SAD) and a distal clavicle excision (DCE or DCR). She said there was a 70% chance that she would do a bicep tenodesis, depending on what she found. She ended up doing the bicep tenodesis - I got about 3 inches of my longhead bicep tendon removed, and two screws to re-attach my bicep to my bone. That was the major part of the surgery, otherwise it would be minor. Prior to this, I had been doing physical therapy. I was doing everything according to instruction. My left shoulder was NOT getting any better. I got a cortisone shot back in March, for both shoulders. It helped, but not fully. It helped almost completely on my right shoulder, but only maybe about 65% on my left. I found out that most likely is because of my bicep tendon... the cortisone shot is shot into your subacromial bursa, and it isn't able to affect the longhead bicep tendon. So, I woke up from surgery VERY out of it. I was so groggy. my SO Steve took me home, and started feeding me my narcotics according to schedule. It hurt. I started doing pendulum exercises right away, and saw my physical therapist 6 days post op. He got me going on some other stuff, and off I went. The pain started lessening after the first week. But I have to say the first week was the hardest. The pain wouldn't go away, and I had to go to work. Since I wasn't allowed to take any anti-inflammatories, basically my only options were to take tylenol, or the narcotics. Well tylenol does nothing for me. And I can't take narcotics and go to work. So I suffered. But I was healing fast. I did take ginger capsules, and used some arnica homeopathic stuff on my arm directly on the shoulder. I also took arnica 200c 2x a day for the first few days. At my post op appt 19 days after my surgery, the OS said that I looked as if I was 6 weeks out, vs. only 3 weeks out. YAY!! I was so proud of myself. I was so scared that I was going to pull the screws out of my bone, the first month that is something you have to be super careful about. So I kept my arm in the sling except to shower and dress and do my physical therapy. I did have a few episodes where I twinged or tweaked a muscle somehow and the pain was excruciating, but I was better in a day or so. We had my right shoulder surgery scheduled just 4 weeks after this first one (we didn't know at the time whether it would be just a subacromial decompression on the left shoulder, which would have been fine... but since I had a bicep tenodesis with a 3-6 month recovery time, 4 weeks is just too soon). So we decided to wait an extra week. Why didn't we wait longer? Well, I met my deductible this plan year, and everything was covered 100%, but it starts again Oct 1st, just a mere 2 weeks after my shoulder on my right side... This is the good part of high deductible health plans. It is great for people like me -- most of the time I rarely need to go to the doctor, and I don't take any prescription drugs that I have to have filled every month... I do a checkup, and that is about it. Well, On the flip side, if I do end up needing my insurance, I REALLY use it. This plan year I had 8 months of physical therapy (at least once a week) and 3 surgeries (the first one was a diagnostic laparoscopy for endometriosis... thankfully that wasn't the case, but they did find staples in my insides, even one embedded in my ovary, so hopefully the removal of those will help my cramps!). So I really used my insurance this year. I also had a very good surgeon. She specializes in shoulders. She explained all the different options to me. Surgery was really my last resort. I had to wait months to get in to see her, but I have to say now that it was worth it. I saw a horrible OS last year, for my shoulders and he was very rude. It only took me 2 days to get an appointment with him. So I suspect that the good surgeons, well, you have to wait months to get in to see them, but I also agree that it is worth it TOTALLY. I have pictures of my shoulders, that the scope took, and can see how horribly swollen and inflamed and red everything was. Well, that other surgeon took MRIs and told me NOTHING WAS WRONG! He had the gall to suggest I see a psychiatrist. HAHAHAH!!! It isn't in my head, Mr. It is in my shoulders! But I am a trooper, so I stick it out. They had me in the pre-op room, asking me all the millions of questions they do, taking my blood pressure, putting in the IV, etc. Then I talk with the anesthesiologist, he remembers me from last time, and guesses that I don't want a block. Everything moves pretty quickly, I say goodbye to Steve (my SO) and I actually WALK into the operating room and sit on the bed. I tell the nurses there that this is the first time in my life I ever stepped on the floor in the OR before. I lay down on the bed and next thing I know I wake up in the phase I recovery area. They tell me I just got out of surgery 5 minutes before (my surgery 5 weeks before I don't recall being in this area AT ALL). Then, I start asking them questions... like how did it go, how long did it take, etc. And I feel great actually. I didn't feel like throwing up. I didn't feel drowsy, just relaxed. They quickly moved me to Phase II recovery, so that I can see Steve and get ready to go home. I walked to the restroom right away... I was totally fine with that. I think they were impressed, as well. I think within 30 minutes I was able to go home. We were just waiting on my prescriptions. This time they gave me Vicodin and Vistaril. Since this was minor compared to the bicep tenodesis, where they gave me oxycontin, percocet and vistaril, I didn't really need anything stronger. So, I went home and took a nap. Then, before bed that night I took 1 vicodin and 1 vistaril and 1 benadryl. Narcotics really make me itchy, so the benadryl helps with that. The next morning, Friday, I took 1 more dose, and just relaxed all day. I did my pendulum exercises, but then took my sling off, and realized I really didn't have much pain. I tried some of the wand exercises, with both arms, and was able to move with a pretty decent range of motion on both arms. Today, 2 days post op, I have now been off narcotics for a day and a half, and only took Aleve 2x. I went to a huge fundraiser for my animal rescue group today, and then came home and relaxed. Sure, I am tired and worn out. But ecstatic that I can move around... I was able to do all the exercises for my left shoulder (my right arm can lead for the wand exercises). All in all, I am doing fantastic. I am icing almost all day long for my right shoulder, and I am icing 2x a day still on my left shoulder. My main fear for my right shoulder was that it would be as sore as my left one. But thankfully that isn't the case. It already seems to have surpassed what my left shoulder can do... just two days post op. I also have broken up all the scar tissue from my left shoulder. There were two spots (two of the 4 incisions) that were lumpy with scar tissue. I didn't use vitamin E which they suggested. Instead, I used castor oil. I rubbed it in, deeply, morning and night. Within a week, the scar tissue went "pop" and my skin is now smooth, no lumps. You can still see the tiny incisions but they continue to become less visible. Except the one on my arm where they removed the bicep tendon. That was over an inch long, near my armpit, and may take some time to go away, and might never go away permanently. I think that my decision to have these surgeries was the best decision I have ever made. In summary: 5 weeks ago I had a SAD/DCE (subacromial decompression and distal clavicle excision) along with a bicep tenodesis (removal of the long head bicep tendon) on my left shoulder. 2 days ago I had just the SAD/DCE on my right shoulder. And today I would say both of them feel the same in terms of soreness. I know the recovery for the bicep tenodesis is 3-6 months, and I have a long way to go, but I am religiously doing my physical therapy and stretching and strengthening. I am thankful that this really might be the light at the end of the tunnel, and that my pain will be gone. I will never brush off anyone who says they have chronic pain, ever again. It is serious... I lived with it for so many years. Now I am ready to REALLY START LIVING MY LIFE PAIN FREE!!! Hallelujah!!! I am so glad my shoulder surgery for my right shoulder has been postponed until the 16th. Originally it was scheduled for the 9th, which is 2 days from now!! That will be 4 weeks since my bicep tenodesis on my left shoulder. A true healing for that takes 12 weeks or more... and while I am getting better at my range of motion, and the pain seems to lessen every day, I just don't think I am ready for another surgery so quickly. I am still wearing my sling for my left arm... I have been taking it off more, and in fact, most of the day yesterday I had it off at home. Sometimes I do something stupid and tweak a muscle, which is painful. Tomorrow is my next physical therapy appointment, and I think I am finally going to get strengthening exercises with weights (probably 1 lb or 2 lb weights), vs. the isometric exercises I have been doing. I can lift my hand almost over my head now. Which definitely helps with fixing my hair and putting it up in a towel after my shower. I still need pillows propped under it to sleep comfortably. But I am guessing within a week I will reporting an amazing difference. I can't wait!!! I am so thankful for my speedy recovery! I am asked this question quite often by my friends, after they learn about Purify Your Body and my detox foot pads that I sell. I love this question, because I can tell them all the evidence that I have, but the best way to make them believers is to have them try it for themselves. So I give them some samples, and tell them how to go about using them. If they have migraines, or sinus or allergy issues, I tell them to put them on their toes. If they have breathing issues, then I tell them to put them on the balls of their feet. Then, I let my foot pads do the rest. Granted, there is a huge difference in say, kinoki detox foot pads, and mine. Also a huge difference in my foot pads compared to the popular Japanese ones that advertise "gold" patches, or "silver" patches. See, they have fillers in them. Fillers, like cornstarch. (disguised as vegetable fiber or dextrin in their ingredients list) It isn't going to harm you, but it is a cheap filler to make their foot pads less expensive to manufacture. And of course, more profit for them. Greedy bastards! In some of them, they have over 50% of this "filler" material. That means that even if they have the important ingredients (wood vinegars, tourmaline, etc) they have at least 50% less than my detox foot pads. I offer a money back guarantee as well, because I know mine will work. And, I offer free shipping, to the U.S. and military bases. I love our military, and am happy to say I have quite a few customers that are actively serving our country. I feel good about offering them a great deal on a great product, and usually throw in an extra pack as a "thank you". There are two different types of testing that I had done. One, was very expensive and was looking for microbes, heavy metals, plastic by products, etc. and it was done at a University lab here in town. These types of tests run in the hundreds of dollars. When I had my test done, I was amazed at what was found. There were many different types of heavy metals, PCBs, chemical substances that I didn't recognize the name for, ethyl alcohol, etc. They also tested an unused, unopened foot pad. They told me that they need something to compare it to. So that got me thinking about having a "control" -- many different types of research studies use "controls" to establish a baseline. Well, you learn something new everyday, and it makes sense! The second type of test is a simple test done using a syncrometer. This is usually around $25-$50 per pair of foot pads. Whether you decide to use one of the pair as a "control" well, that is your decision to make. I ran one under water, I sent a blank one, and I sent one from my left and from my right foot. Yes, the one with water came back with some heavy metals, which made me want to not use my faucet again. The control was blank from the specific contaminants they test for (they test for a list of substances, and test negative or positive for that specific substance, i.e. for mercury, or for arsenic, or for cadmium, or aluminum, etc.). The foot pads that I had used were disgustingly filled with almost all toxins they tested for. (well, I think like 8 out of 15, which to me is very bad). A few months later, I tested myself again and had only 4 toxins show up in my foot pads. Then I felt a bit better. I had a customer whose granddaughter had just gotten home from the doctors office -- diagnosed with lead poisoning! She gave me the specific ppm that the tests revealed. She decided to use my foot pads on her 3-year old granddaughter. After a month, they went back to the doctor for a follow up test. Her lead levels were well within what the doctors say is a safe level. Amazing! So, there are a few ways to test... to prove that my detox foot pads really do work. 2. Putting them under water will make them dark, just like a tea bag. I mentioned before that I put a clean detox foot pad under water and had it tested. The foot pads WILL turn dark if you put water or other liquid on them. The reason is because they are filled with herbs. A tea bag turns dark as well, when you seep it in hot water. However, it doesn't get "gooey" like the foot pads are when I take them off my feet in the morning. They aren't sticky in the same way. I challenge anyone who thinks this is a hoax, to request a sample from me, and put water on one, and then use the other on their feet, and compare. There is a difference. 3. They can be used for more than just a detox. The foot pads are great for detoxing. They work the best on your feet because it is convenient, you have your acupoints on your feet, and it is all linked to your lymphatic system. But beyond the detox, they are great at helping with swelling and inflammation. If you have a sprain, or gout, or arthritis on your hands or feet, put them directly on those areas. As long as the skin is not broken, or you don't have any open wounds, this will work. Sometimes the foot pads will not turn dark, but may become hardened, as if a clear liquid was pulled out... this is uric acid. If you suffer from gout, then you will love these foot pads! 4. A company shouldn't hide their ingredients. Look for a company that will tell you the ingredients, and the percentage of each ingredient. Make sure it adds up to 100% so they aren't hiding anything from you. You don't want any dextrin or vegetable fiber in your foot pads. As I mentioned in the beginning of this article, you won't be hurting yourself with those ingredients -- except maybe your pocketbook. These are considered fillers, and won't make for a good detox. I have heard people claim that they help "asborb" the toxins, but that is what the chitosan is for. Chitosan is an important ingredient because it can absorb up to 400x its weight in impurities. They use it for oil spills, and it really binds those toxins together. A few people are allergic to shellfish, but only if you are so severely allergic that you can't touch a shellfish, should you avoid these. (And, if you have any concerns, I can send you a free sample to test before you place your order). Some people say that the goo is your feet sweating. Really? If your feet sweat that much, you need to go see a doctor, seriously. And, if my detox foot pads just reacted to my feet sweating (which they rarely sweat, only in very dire circumstances, like when I am in a sauna), why do they eventually come clean in the morning? If it was my sweat that was making the foot pads so dark and gooey every night, then why, after months of use, do they stop becoming gooey? To answer that, it is because I am DETOXING MY BODY, not because I all of the sudden stopped that weird feet sweat. Granted, I do know people who get clammy feet, and somewhat sweaty feet (and they need to use those odor eaters in their shoes). That is somewhat normal, but will NOT cause the reaction you are getting from the detox foot pads. This is actually one of the most common reasons why people think the detox foot pads are a hoax. I think it is kinda funny. Come on. Think for yourself. There is no way that can truly be the reason!! Logic, people!! 6. Customer service is very important. Do you get a timely response to your emails? If not, then the foot pad company you are going through is not customer-oriented. Granted, I wish I could take phone calls, but since I am a one-person show, and work in the day, I can't answer calls. But I am always willing to call people back, and current customers do have my phone number if they want it. I respond within a couple hours via email. Sometimes I respond within 5 minutes, or even at 2am. I have about 3,000 customers, and quite a few of them are repeat customers that order every month from me. I get to know them pretty well. These customers have my phone number and can easily place an order over the phone with me just by calling me when they want to. I love answering questions, whether by email or by a phone call. So please, shoot me your questions about the detox foot pads! 7. Anecdotal evidence doesn't lie. Let's say you have had migraines for over 15 years, and they were only getting more frequent. And your doctor keeps giving you drugs to help prevent them, or to control them once you get a migraine attack. And nothing works. And then, you start using the detox foot pads, and after about a month of using them on your toes (correlates to your head reflexology point), you realize you haven't had a migraine that week, and then as the weeks go on, you realize that it has been a long time since you had a migraine. Up until you maybe get one migraine a year vs. 5-6 migraines per month. That was my personal story, and the MAIN reason why I fell in love with the detox foot pads and created my own business selling them. I KNEW they work. They made such a huge difference in my life. Migraines are absolutely horrible. The pain that I get in my head is not even the worst part of it for me. The nausea, sensitivity to sound, light and smells, the jittery feeling I get. Those are more horrible to me than the painful pounding in my head. The aura, preceding the visual "disturbances" that I used to get, are so horrible. I am so grateful for my detox foot pads. I have since realized that certain things cause triggers for me -- MSG, aspartame, and other chemicals. If I do eat those things, and get sick, I just wear foot pads that night to make me feel better by morning, and it works. Another incident of anecdotal evidence consists of a friend of mine who suffers from gout. He has suffered from gout for over 20 years. And maybe about 2-3 times a year he will have a bout. After giving him some detox foot pads to try one morning, he told me that by early afternoon he was able to walk without pain, and the foot pad was soaking with goo. I know that this had to have been the result of the foot pads, not because he miraculously stopped a 5-8 day bout of gout on the first morning, just out of the blue. These types of experiences are very common. And using logic, and the brain God gave us, we can note that these results were because of the detox foot pads. I have a very high quality detox foot pad, and purchase them from a factory overseas that gets audited, and is FDA registered. Since I work out of my home, I do not jack up my prices very much. My margins are very low. I don't mind, because I make up for it in quantity, for all the orders that I ship out. Ultimately, a good detox foot pad should not cost you more than about $1.00 to $1.50 per foot pad. If the company sells a good detox foot pad (high quality like mine), but it is about $4.00 per foot pad (or $40 per pack), then you know they are either gouging you, or are not good business people and have such a high overhead cost that they need to charge that amount. My low quantities are a bit over $1.00 each (My 10-pack costs $20) but that is because I don't want to compete with my resellers. They are the ones what sell the 10-pack more than I do. It is one of the least purchased quantities from my website. If you see a brand of foot pads that has dextrin, cornstarch, vegetable fiber, etc. in them (remember the fillers I wrote about above), then you should not pay more than $0.50 per foot pad for those. MAX. They are not going to be BAD for you, but they really are a cheap version of them and are not potent at all. You will need at least double the amount of foot pads to get the same detox, so 50 cents per pad seems right. Also, I offer free shipping to all U.S. addresses. One of my pet peeves is finding a product that I want to buy, for a fantastic price, and then realize the shipping/handling charges are outrageous, ultimately making it a bad deal. So, I found a way to offer free shipping, and that way you know what your final cost is before you even put your product in the shopping cart. Purify Your Body is registered with the FDA. What that basically means is that I filled out a lot of paperwork, and submitted it to the FDA for approval, paid a few thousand dollars, and then received an FDA registration number. This helps me when getting my shipments in from overseas, and having to go through customs. It doesn't mean the FDA approves of my product, or has reviewed it. It just means I am a legitimate company, and have registered myself with their agency. It is not "FDA Approved" -- if it were, it would cost millions of dollars in testing, studies, etc. There are no detox foot pad companies out there that are FDA approved. I have a ton of testimonials. Why aren't they on my website? Why don't I post them everywhere? Well, that is a good question. First, I am not allowed by law, to say that my product can cure any illness or disease. (My customers have to figure that out by themselves, which is why I am glad I have smart customers). I can not advertise this, either. As a result, it could be a fine line between having a testimonial on the website, and having the FDA say that I am making an unsubstantiated claim. And, they can pull my website if they so feel like it. I don't want that. So, I am playing their game and just being as basic as I can. I also keep telling myself that I am going to create a testimonial sheet, from all the stories my customers have sent in to me, but I fear that my laziness has gotten the best of me, and I haven't done it yet. I still plan on doing it, but will I get it done this year? Probably not. I feel like I am a procrastinator in some things, this being one of them. 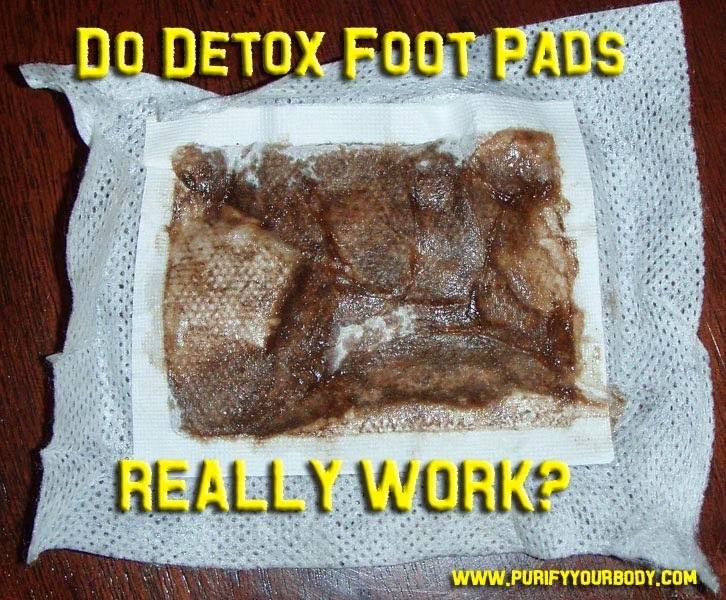 Labels: do detox foot pads work?